All the goodness of the Eichi, but more affordable. 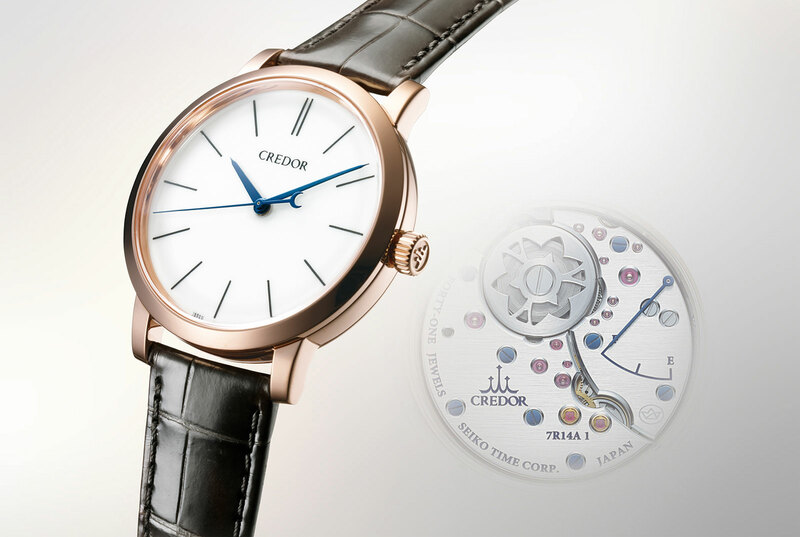 Unveiled in 2008, the original Seiko Credor Eichi was a time-only watch with an exemplary movement finish inspired by Philippe Dufour’s Simplicity. 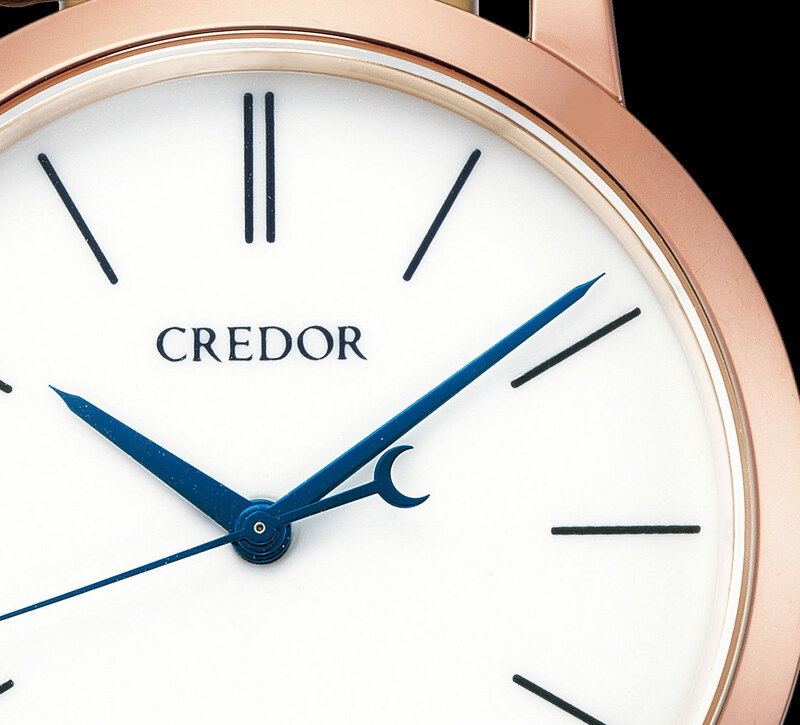 After a brief 25 piece run, that was replaced by the Credor Eichi II in 2014. Both Eichi models are the products of Seiko’s Micro Artist Studio, a dozen-man operation that produces some of the best watches in Japan. A decade on from the original Seiko has unveiled the Eichi II in 18k rose gold, retaining all its signature features – porcelain dial, blued hands, and a gorgeous movement – but making it significantly more affordable thanks to the gold case. 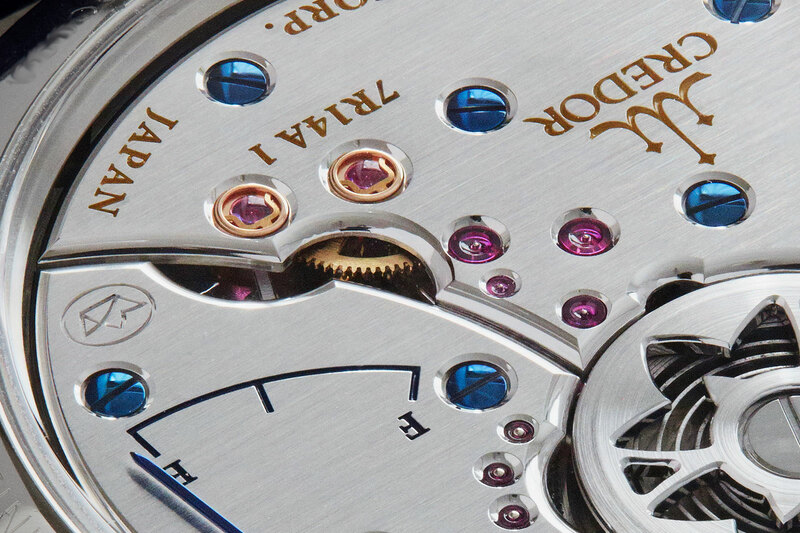 The white porcelain dial has the same blued hands as the platinum Eichi II, but the hour markers and logo – painted free hand by a skilled craftsman – are in a dark grey instead of the blue of the platinum model. While the case material has changed, the dimensions remain the same, 39mm wide and 10.3mm high, as does the Zaratsu finishing technique that creates a mirrored, flat surface that is practically distortion free. The crucial quality of the Eichi II is unchanged. The cal. 7R14 inside is Spring Drive, hand-wound, and a sight to behold. Notably, the Eichi II in gold costs about a quarter less than the same in platinum, making this a deal in comparison. 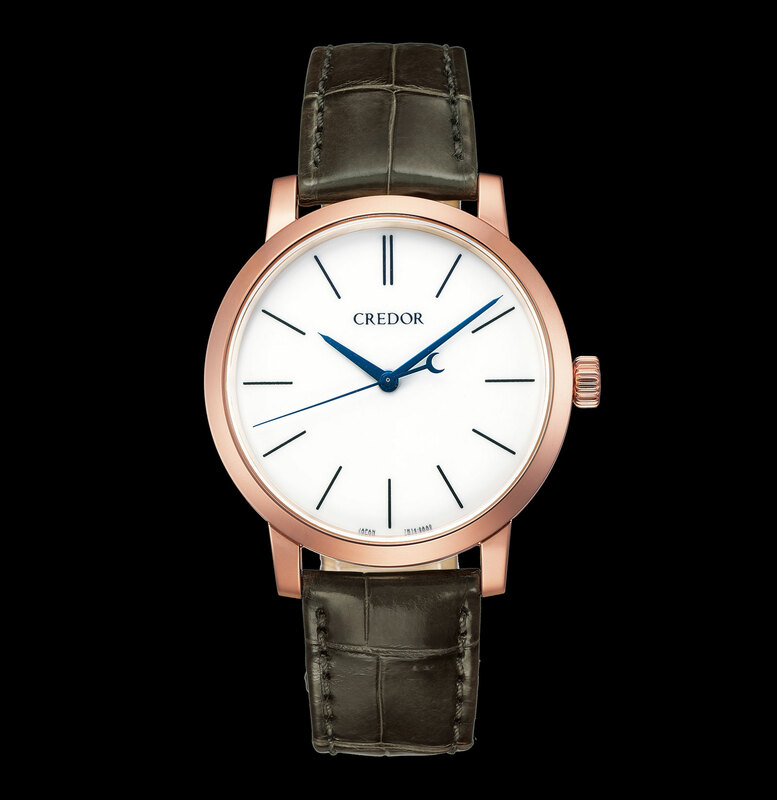 The Credor Spring Drive Eichi II in rose gold (ref. GBLT998) is priced at ¥4.3m before taxes, equivalent to about US$40,900. It will be available at Seiko boutiques and selected retailers worldwide, starting August 2018.